I love discovering new games. Especially survival games! I recently started to stream in English. My English is still a little bit broken, but it gets better! Love to interact with chat. Trying to work on my confidence too. Currently I lack selfesteem and it stops me from being who I want to be. 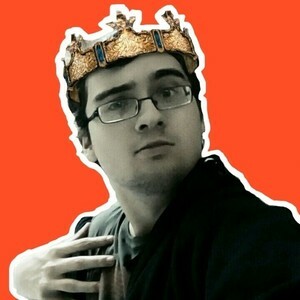 I want to improve and give you the best stream! Started streaming when I was 14/15 (don't remember) and just couldn't stop. Back then I didn't want to be alone while playing. It's like a habit for me, can't play games without streaming it. I took long breaks between tho and had no real schedule. This is one thing I want to change right now. Started to stream several days a week. Having fun of course. Interacting with chat and making new friends. VRChat is at the top right now. Love to make new friends and work on my confidence. Favorite games were Fallout New Vegas, Natural Selection 2, Don't Starve and a few other games. Toast with his Harem and his I'm bad at remembering stuff. DisguisedToast, Forsen, Dansgaming, Thijs. Watched them for years. I love how relatable and funny toast is. Forsen has the best memes and emotes. Thijs is very chill. Dansgaming is like a uncle who tries to be funny with bad dad jokes. Report Njagos' profile for containing a lack of content. Report Njagos' profile for containing unsafe links. Report Njagos' profile for containing offensive content. Report Njagos' profile for containing formatting errors. Report Njagos' profile for containing invalid links. Report Njagos' profile for another issue.